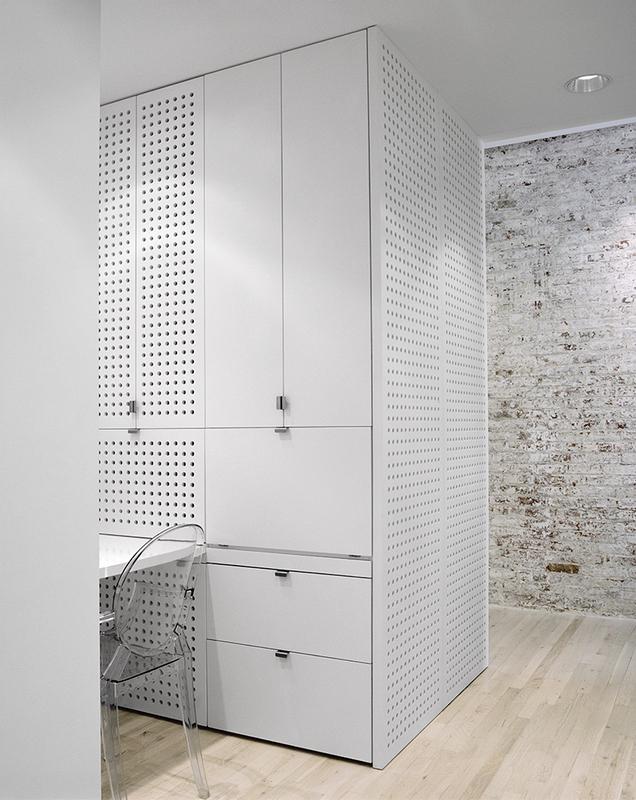 The clients are a couple living in the Tribeca loft dis­trict of New York. He is in finan­cial and she is an artist. They needed a space with a dual nature: a quiet refuge for him, a home studio for her. 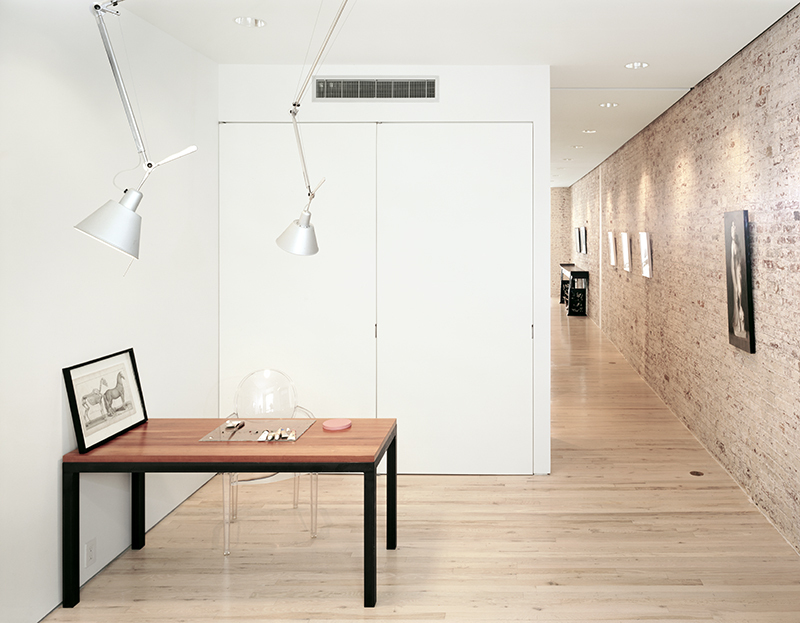 Stretching the full length of the loft an unin­ter­rupted hallway con­nects the two window walls. 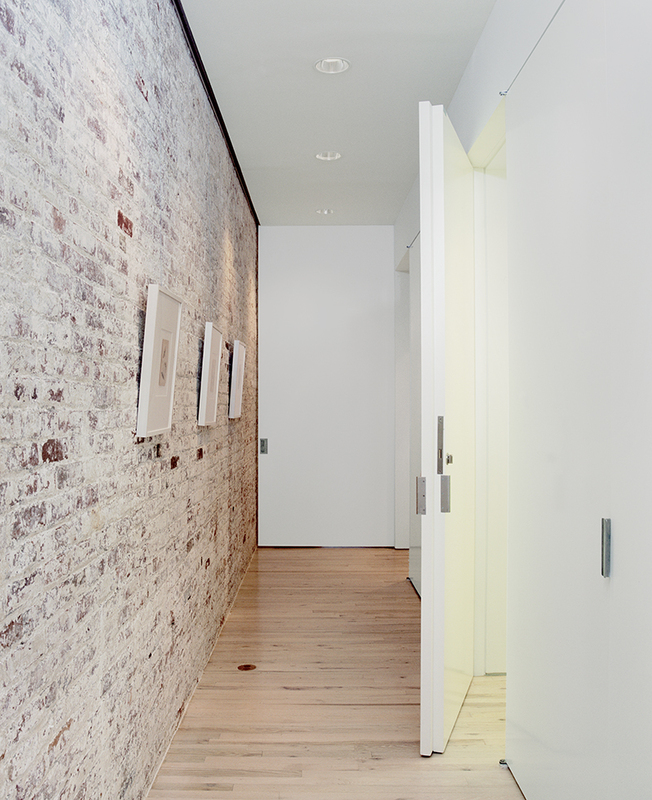 The brick­work along this hall was ren­dered to com­ple­ment the realist art­work of the owner. 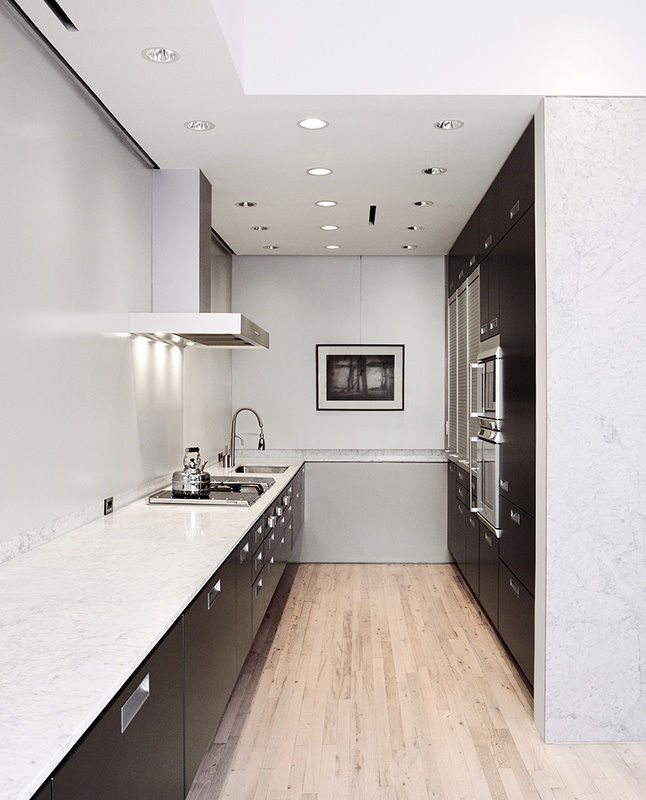 We worked closely with her to give it an appear­ance of some­thing new and old. 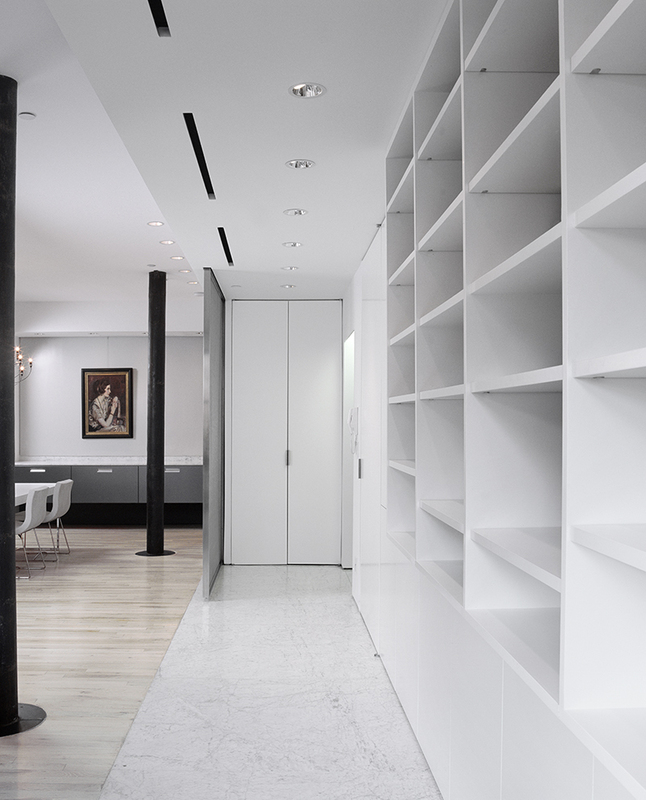 At one end of the hallway a sliding panel allows the studio to be enclosed. As a pre­dom­i­nant pal­lette, the mate­rials are airey, quiet and neu­tral. 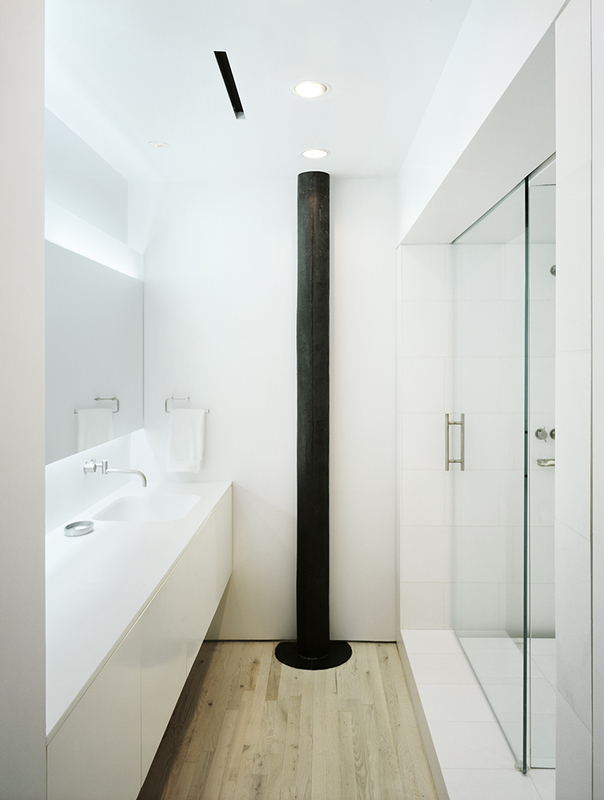 In con­trast, there are moments of dark accents such as the existing cast iron columns which were cleaned to their nat­ural patina. 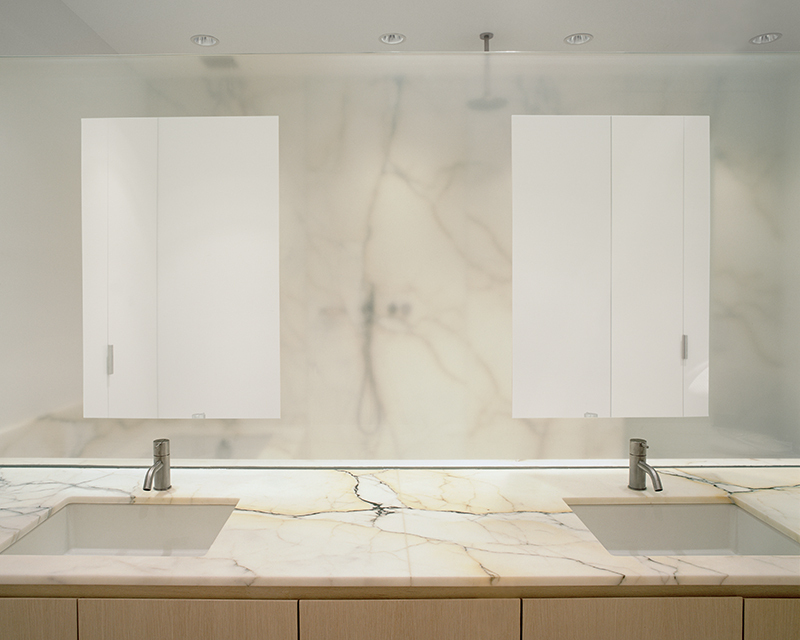 As the high­light of the ren­o­va­tion, the master bath­room is clad in slabs of Paozetto marble. 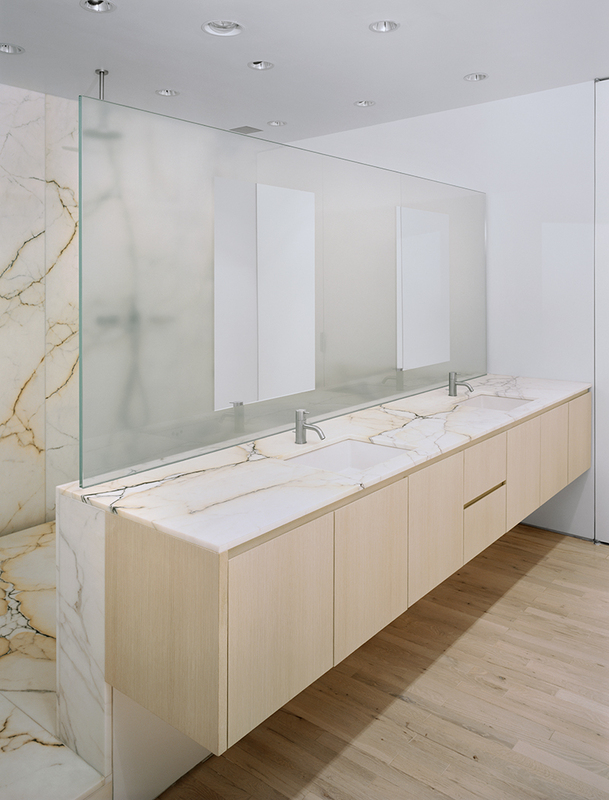 A large translu­cent glass panel pro­tects the wet areas from the vanity. 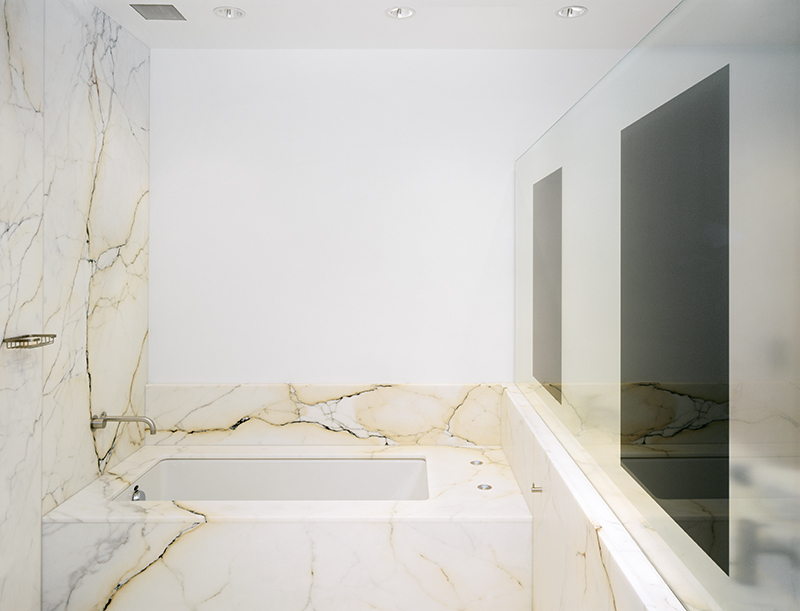 Floating within this glass panel are two mir­rored areas. Per­cep­tu­ally, they appear to be voids into a sus­pended space beyond.